I recently came across an article about consumer purchasing that made me reflect on my own purchasing decisions… and then led me to wonder whether those lessons could be applied to how law firms go about attracting and retaining clients. “The secret science of shopping: Why we buy what we do” by Belle Beth Cooper, which was originally published on the Crew blog, then republished on TNW (The Next Web) News, reports that we are more likely to make a purchase when we are with friends than when we are with relatives – and that when we see others making purchases, we are more likely to make a purchase than when we are alone. What can this tell us about how prospective clients may go about choosing a specific lawyer – or deciding whether or not to use a lawyer in the first place for a particular matter? If we think about the power of a referral by one of our existing clients to their friends and colleagues (perhaps contrasting it with their likelihood to use our services if a relative suggests our firm! ), we may spend a bit more time encouraging clients to feel free to mention our names to others who may be able to use our services. If we know that someone who has been referred to us is likely to value our services more highly than one who found us in the on-line equivalent of a phone book, that may alter how we approach our dealings with clients as well. 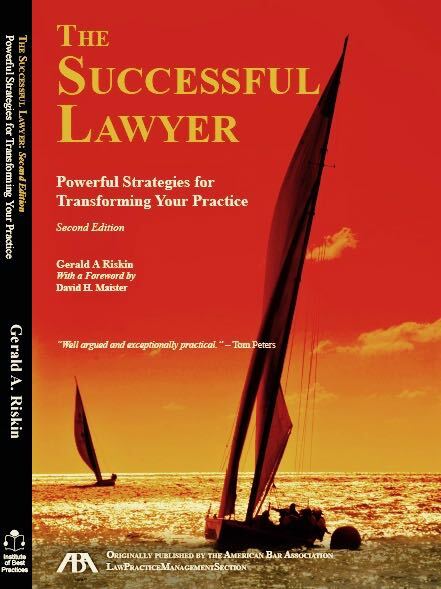 Lawyers are not in the business of selling themselves in the way that car dealerships or McDonald’s are, but with a little imagination the lessons the corporate world has learned about attracting and retaining customers can be applied by those in any field who want to expand their customer or client bases. Let me know your thoughts about this or any other matter, either in the comments section below or directly via email.